Backup of the source system, and restore it in the warehouse server. Backup of stage database, in case we need to reload today’s data incremental extract. Or yesterday’s. Backup of the ODS, after it is updated successfully. Backup of the data marts, after they are updated successfully. Backup of the main warehouse, after loading. In some DW implementations, not only one but several backups, usually differential. Restore of DW backup, in SSD (scalable shared databases) – technique to speed up DW queries by having multiple read-only copies of the warehouse. 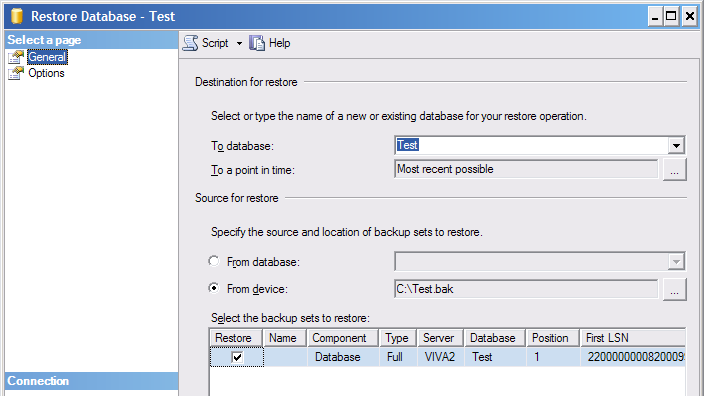 Restore of DW backup, in DR server, in the event of a disaster, or during routine DR tests. Ok, that’s more like 7 points rather than 4. Now, the thing about DW backup is: it’s a big database. The main DB of a DW varies from 50 GB to 5 TB*. The backup time varies from 10 mins to 3 hours*. If your DW is at the high end of this range, you will already use backup compression would give a big benefit. And we don’t only keep 1 copy of backup on disk. Many DW operations keep 3-5 copies on disk, and many more on tapes. So if backup compression can save 50% of disk space, and 50% of backup time, well, it would be useful. It would be very useful. It could be a reason to upgrade to 2008. It could be a reason to switch to SQL Server. *well that probably covers about 90% of the population. There are exceptions, as always. Remember we are talking SQL Server data warehousing, and today is 2010. If today was 2005, we will be talking about a completely different sizes of DW. Probably in the range of 5 to 50 GB. A million row fact table in 2005 was something to talk about. Today, there’s nothing special about a billion row fact table. Remember we are talking SQL Server. SQL Server! Hmmm, how fast SQL DW grew in the last 5 years. In 2000 the concept of SQL Server DW wasn’t even there. Back then the word “SQL Server” and “data warehouse” were never in the same sentence. In 2000 people compared SQL Server with Microsoft Access. In 2000 DW was something that normally associated on Teradata, DB2, at least Oracle. But not SQL Server. And now SQL Server PDW hosting 50 TB DW. Ah, something to blog about next time: “SQL Server data warehousing: then, now and future”. True that there are backup compression products out there, such as LightSpeed. So if your DW is > 500 GB the question is not about whether to compress or not to compress. You have to compress, period. Both for speed / time saving and for the disk/space saving. The question is: which software do you use to compress. Well the answer is sort of obvious really. Try those products and use the one that gives the highest compression ratio in the shortest possible backup time. With one usual note: budget permitting. But there is one big advantages of using SQL Server backup compression, compared to any backup compression software: anybody can restore backup. If you use Litespeed for example, to restore the backup you also need to have LiteSpeed. So you end up with installing Litespeed on many servers. Copying databases from production to development SQL server for example, you need to have LiteSpeed installed on both servers. Restoring prod backup in DR server for example, you need to have LiteSpeed installed on DR. But using 2008 backup compression it comes as standard. And it’s only a matter of time before all SQL Servers in the company are upgraded to 2008, right? So in the end everybody will throw away their backup compression software, and replace it with SQL Server. IF (and that’s quite a big IF) SQL Server backup compression can squeeze the database to a good size and do it fast. In 2008 R2, backup compression will drop to Standard edition. Currently (R1) it is in Enterprise edition. A compressed backup can be restored by all editions of 2008. Obviously 2005 can’t restore them. And how to restore it? Now, let’s test how small the database becomes after compression. For this purpose I prepare a database Test, which is a dimensional database, containing 2 fact tables and 3 dimension tables. The fact tables contain 1 million rows each with 2 measures, and the dimension table 1000 rows each. I’m going to backup this database without compression first. Then with compression. I will repeat each test 3 times, and average the results. a) The size of the backup is consistent. It doesn’t change each time we backup. Point c above (saving 62% disk space) is very useful for data warehousing. For some companies it could be the reason to upgrade to 2008. Or even to switch to SQL Server (if your current data warehouse platform does not have a backup compression). Because in data warehousing we are talking Terabytes, not Gigabytes, 62% less disk space saves a lot of money. Point d is also very useful for data warehousing. As I specify at the beginning of this article, there are many points where backup is used in the overnight data warehouse load process. So if these points are 27% faster it would decrease the load window, which sometimes is a make or break factor in data warehousing. For example, it could decrease your load window from 6 hours to 5 hours. 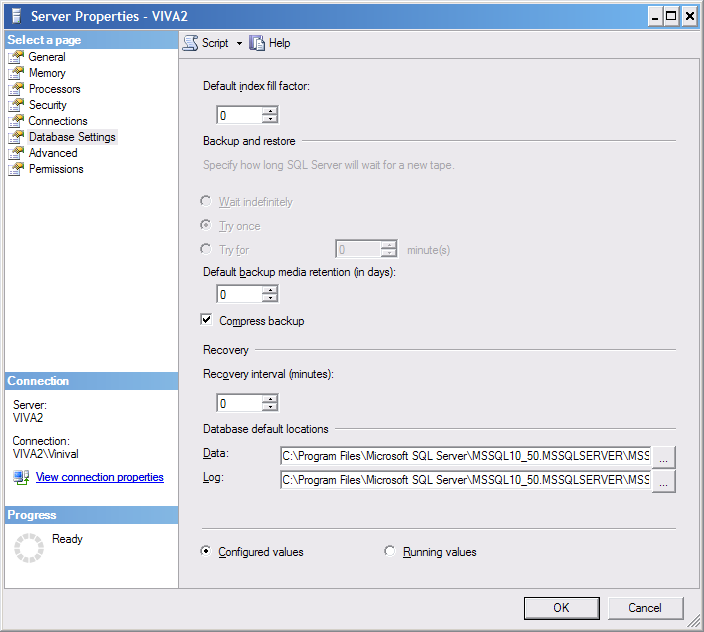 One last thing before I end this article, you can set the SQL Server instance to compressed backup by default. Meaning that if you don’t specify it will be compressed by default. Say the query returns 200,000 rows. 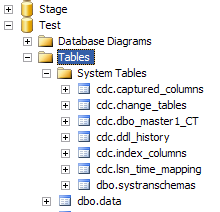 This is because 1 row in the fact stage table corresponds to 2 rows (or more) in dim3. In this case we need to find out which column in the fact stage table causing the split. Say the above query returns 4 rows: NK1 to NK4. This means that in the fact stage table, there are more than 1 row for NK1. The column(s) causing the issue have different values across the rows. 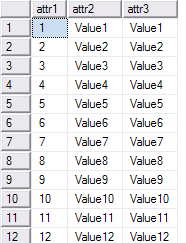 All other columns in the last query should have the same value across the rows, except these 1 or 2 columns that cause the issue. It’s a type 2 dim, so there are several versions for each NK. One possible solution is to use the latest version, i.e. where Is_Current = ‘Y’ (or use validity dates, e.g. valid from and valid to). The dim table is populated multiple source systems. It is possible that the NK1 exists in source system 1, but also exists in source system 2. This should now returns 200,000 rows. If the fact stage table has 200,000 rows, after we join with the dimension tables it should still return 200,000 rows. If less return less than this (say 170,000), check if you use inner join — you should use left outer join. If it return more than this (say 230,000), check if split occurs (as I explain above). If it does, find out which column causes the split and put the additional where clause for that column. It is surprisingly rare for IT people (in general) to appreciate that data warehousing requires a lot of disk space. Non-IT people, on the other hand, is more appreciative. They understand that if we collect data from many different places and put them in 1 place, then naturally it will require a big disk space. But IT people is quite the opposite: they can appreciate that email and file servers are disk hungry, but they cannot understand why data warehousing requires tons of disk space. Many IT people still compare that data warehousing with other database applications, i.e. a few GB should be enough. They cannot understand for example, why the data warehouse is 500 GB, if the source system is only 50 GB. Today was the 4th time I received such astonishment. So tonight I would like to write down the reasons why data warehousing requires a lot more disks than transactional system. I will try to write for audience who are not from data warehousing background, using plain IT language, avoiding any DW terms. So for readers who are from DW background, please bear with me. In data warehousing, we make a lot of copies of the source system. This is called “snapshoting”. Say the main transaction table in the source system contains 2 million rows. In the DW, we store all 2 million rows, every single day (or week, or month). So in a year we will be storing 365 x 2 = 730 million rows. In DW we store the data in more compact form (using integer keys), so if the source system row is say 500 bytes, in the DW the row width is probably only 250 bytes. And we don’t store every single column from the source system, but only some of them, so the row width in DW is probably only 100 bytes, one fifth of its original size. So if the transaction table in the source system is 1 GB, the daily ‘snapshot’ in the warehouse is only 200 MB. Multiplied by 365 it’s about 70 GB. In data warehousing we are very concern with query performance. We use a lot of indexing to provide good query performance. Indexes take a lot of space. In transactional system it’s between 20% to 75% of the table/data size. In data warehousing the index is between 0.5 to 3 times the size of the tables. So if your DW database is 100 GB without index, the indexes would probably take between 50 and 300 GB. 50 if you try to be a minimalist e.g. only index where absolutely necessary, with the primary reasons usually being ETL/load time and disk constraint. 300 GB if you try to be a perfectionist, i.e. 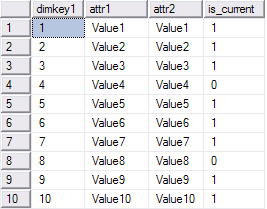 every single dimension key column in the fact table*, every single attribute used in the queries, etc. 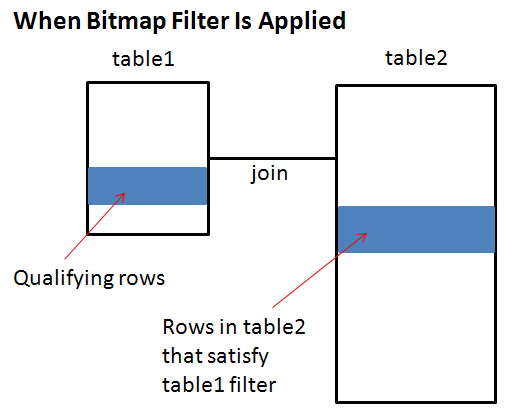 Note that in SQL Server we don’t have bitmap index like in Oracle – hence more space is required for indexing to the same effect. In the transaction systems everything is normalised, so tables are relatively small, as there’s no redundant data. In the warehouse, everything is denormalised, so tables are bigger. Sometimes a lot bigger. This is because denormalised data model has redundant data i.e. the same value is repeated many times. and the query takes 2 minutes. If we store the result of this query on disk, SQL Server doesn’t have to do this calculation. 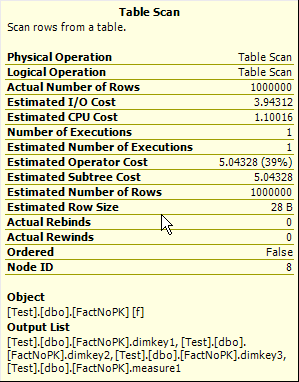 The original query might read say 100 million rows, but the result may be only 1000 rows. 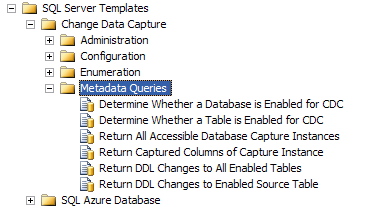 So if the original query takes 2 minutes, reading this materialised view is instant (0 seconds), because the materialised view contains the exact data that the query wants i.e. the 1000 rows. In data warehousing we like to do partitioning. Partitioning is basically slicing a table in (say) 100 chunks and spread them across (say) 5 disks. Say the estimated database size is 100 GB. If we don’t do partitioning, we say to SQL Server: create database1 on disk1, size = 100 GB. Now when you partition it into 5 disks, we need to create a filegroup (FG) on each of these disks. When creating these FGs you can’t size each FG = 100 GB/5 = 20 GB. You need to specify more, say 30 GB, because they don’t grow at the same pace. So FG3 may be full whilst FG4 is still half empty. This is because the FGs contains different tables which grow at different rates. This results in more disk space than if you don’t partition the tables e.g. 30 x 5 = 150 GB instead of 100 GB. Operation of partitioning takes some space. It’s not a lot but still something. I’ll illustrate with 2 operations: truncating by switching, and sliding window maintenance. In Oracle (I think it is from version 8) we have “truncate partition” command. In SQL Server we don’t (not sure why not, probably because of copy right). So we have to prepare an empty partition, then swap it with the partition that we want to truncate. This technique takes seconds, where as “delete” takes minutes (30-60 minutes are common). Sliding window is a technique to maintain a rolling window, say last 24 months. So on the first (working) day of every month we drop the oldest month (month 24) and add the current month. The data for each month is stored in different partitions, so at the beginning of every month we “switch out” the oldest partition and “switch in” the current month partition. In data warehousing, we do a lot of backups. Apart from the main warehouse database, and the data marts, we also backup the stage databases, standing data database, metadata database, ETL database and ODS database. We also keep the source system backups. And we don’t only store 1 copy of backup (last night’s only), but 5-10 copies and sometimes 20. For example, we keep a week’s worth of the stage backup on disk (beyond this is usually on tape). This is to enable us to reload the DW if we had 2-3 days of incremental load failure by redoing the load for those failed days. It is common for the DW backup size to be 5 times the size of DW databases. If the total of all DW databases is 800 GB, the backup is probably 2-4 TB. Fortunately they are on RAID 0, rather than RAID 10. RAID 10 requires 4 times as much disk as RAID 0. More about RAID on point 10 below. In data warehousing we need a big space for development and testing. Dev and test environments are in TB, unlike in the transaction systems which are usually in GB. It is common that dev environment is 5 times the production size (the disk, not memory or CPU). Test is also 5 times prod. This is because: a) quite often we have several projects running simultaneously, and each project requires disk space similar to the prod, and b) unlike testing a transaction system where minimal amount of data will do, testing a data warehouse often requires the full set of data, because the analyses/reports needs a good amount of data. So if the total size our DW databases is 500 GB, we can expect the development space to be 2.5 TB and the test/UAT space to be 2.5 TB. Log expansion at loading. When a warehouse is being loaded at night, the log expands. Yes, true that we use a lot of bulk loading. Yes, true that we set the databases to simple recovery mode. But in reality, at loading time the DW still expand. It’s just the nature of log-based RDBMS, and SQL Server is no exception. So if one of your mart is say 30 GB when it’s first deployed, expect that during normal daily load it will expand up to 50 GB, i.e. the data file (MDF & NDF) will relatively stay the same, but the log file (LDF) will expand during load. Of course, after DB maintenance plan is executed (backup log etc), the log file size is reduced, but you’ve got to allow some space for expansion during loading. By the way, “backup log with truncate only” is deprecated in 2008. In data warehousing we like RAID 10 (1+0 that is, not 0+1). This is because we are very performance concern. In the transaction systems, tables contain thousands rows, sometimes hundred of thousands. In data warehousing, the main tables (they are called “fact tables”) contains million of rows, sometimes billions. When you have a table with 2 billion rows in it, you would want to a) place it in 10 different disks to spread the IO (see point 5 above about partitioning), and b) you want to put it on RAID 10 rather than 1 or 5 or 0. I’ll skip the technical details as my target reader is non DW people: to make 1 TB of space, RAID 1 requires 2 TB of disks. RAID 5 requires 1.05 TB of disks (I’m simplifying here). RAID 10 requires 4 TB of disks. RAID 0, which I mentioned on point 7, requires 1 TB of disks. In data warehousing we need RAID 10 because it gives the best query performance and the best load performance. Not only we need RAID 10, but we need many sets of small RAID 10. If you have 100 disks of 146 GB each (formatted capacity 137), you don’t put all of them in 1 big chain of RAID 10. No, that’s not good for performance because we can’t create many file groups on different spindles for partitioning. Instead, we take 4 disks and make 1 RAID 10 of 137 GB. Take another 4 disks and make another 137 GB RAID 10. So we will end up with 25 RAID 10s. This is good because now we can spread the IO when that 2 billion rows partitioned fact table is being quieried. I hope the above points had made you aware about the disk space requirements in data warehousing. And this is general really, not only in SQL Server platform, but all other platform. Whether you build your DW on Sybase, Informix or DB2, you still hit the same problem generally. One more thing before I end this writing: exponential growth. It is the nature of data warehouse development to be exponential growth. If you predict that the space you just bought should be enough for the next 3 years, expect that it will be full within 1.5 years. Vincent Rainardi, 23rd March 2010. 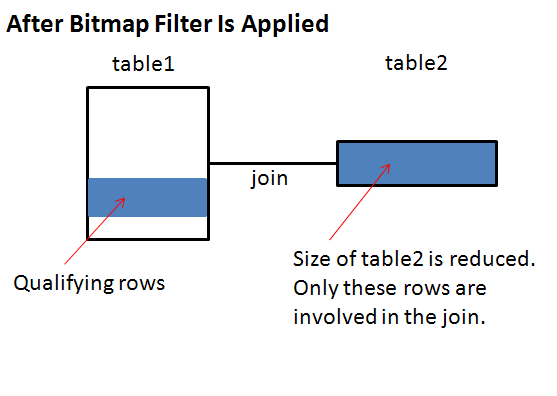 Bitmap Filter is an in-memory structure that uses a compact representation of a set of values from one table in one part of a query to filter the rows on the second table located in another part of the query. 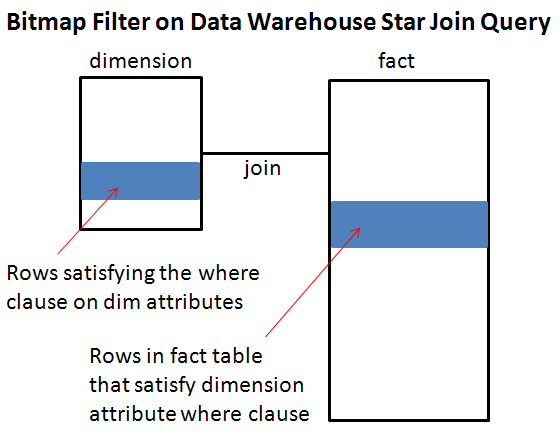 In SQL Server data warehousing, Bitmap Filter is used to reduce the number of fact rows involved in a star join query by eliminating fact rows that does not satisfy the dimension where clause, before the fact table enters the join. This improves the query performance. 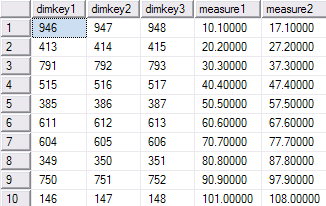 A star join query is SQL query where a large fact table is joined to dimension tables, filtered on dimension attributes and grouped by a set of dimension attributes to get an aggregate of the measures. Bitmap filter only works on inner join. It doesn’t work on outer or cross join. Bitmap filter only works on hash joins. It doesn’t work on merge or nested lookup joins. The fact table need to be > 100 pages. The join must be on a single column. Merge join: both tables are equally big e.g. 400k & 500k rows and join columns indexed. Hash join: both tables are big but 1 is much bigger e.g. 100k & 1m rows, join columns unindexed. In doing so could we combine several fact tables into one? If we have SCD type2 dimension in the DW, should we make it type 1 in the DM? If the DW is in star schema, could we make it snow flake in DM? If the DW is in snow flake schema, could we make it a star? Should the DM be allowed to change the attribute names and entity names? Is there a good reason for doing it? Because we need to create a static copy of a few fact & dim tables which does not change every day like the warehouse, for analysis purposes. Because they need a mart for data mining. To ease the query workload on the warehouse. Because they want to change the data to simulate some business scenarios. To support the query performance of the reports. Because the data warehouse is in normalised format. In this article I’d like to focus on #5: a DM which is created to support the reports’ performance (or BI application). The DM is structured differently to the DW. Yes by all means. That was the intention of creating the data mart in the first place. To support query/report performance we need to create the fact table at a higher grain and that’s what relational aggregation is all about. Alternatively you could build a cube and have your reports reading the cube. Yes by all means combine the fact tables. The idea of optimising data structure for report performance is that we store the data in a ready-for-consumption format. If this means reading several fact tables from the DW and combine them into a single DM fact table so be it. This is where the covering index will be very useful. 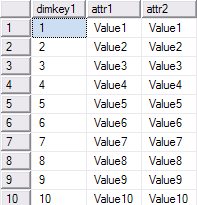 A nonclustered index that includes all ‘grain determinant’ dim keys in the fact table would speed up the join. And no, referring to this article, a “fact key” column would not be useful as you can’t join on it. Yes by all means do that. If you want to make your mart perform, simplify it. The principle of designing a mart is: 1) only take from DW what you really need, 2) structure it in the most performing way. The DW on the other hand, has different design principles, i.e. 1) store anything and everything, and 2) structure it in the most flexible way. SCD type 2 is a classic example of this ‘flexibility’ principle. Worry that there will be a need to understand the value of those attribute when the transaction happened, the DW modeller declares the dimension as type 2. Some designers even created the “current attribute” columns, in that type 2 dim, containing the current value. And some created the “current key” column, which contain the dim key of the current row. For a good background on this Slowly Changing Dimension type 2+1, please read Margy Ross and Ralph Kimball article here. Look for the heading “type 2 with current overwrite”. It is not a new concept. They wrote it 5 years ago (March 2005). I first came across it when writting this article. In there I highlighted what Margy Ross said about type 6 which is type 2+3+1 in her article: Combining SCD Techniques. And that was in October 2000! So yes, if the dimension is type 2 in the DW and you do not need historical value of attributes, you should make the dimension as type 1 in your mart. 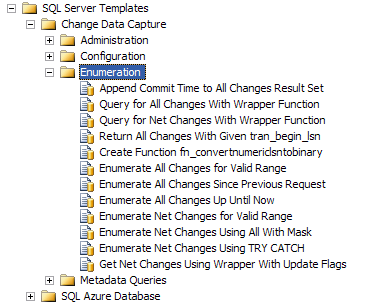 Use Is Current Flag column instead of date validity columns (it’s faster). A discussion about the data type of the Is Current Flag column is here. If your source type 2 dimension has “current attribute” columns, use them (instead of the normal attribute column). 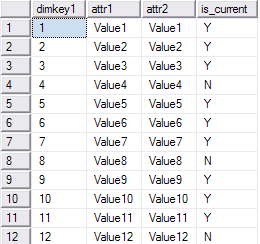 If the type 2 dim has both “is_current” flag and “current attribute”, use is_current column regardless whether you use the “current attribute” columns or the normal attribute columns. First let’s go through the reasons. The reasons people need to normalised a star schema into a snow flake schema are: a) to support a data entry application where the application tags certain information entered against the attribute member, b) to support Reporting Services drop down lists, possibly Sharepoint lists also, c) ease of maintenance, because that particular attribute is used by many dimensions, and d) company standard for dimensional modelling. Where as the reasons people need to make a star are: a) query performance, b) query performance and c) query performance. Considering that the purpose of creating the data mart is to support report’s query performance, In my opinion the answer to this 2 questions is: yes by all means make it snow flake or star as necessary to support the report/application. There is another way of normalise a star (other than physicalised it as tables). And that is by creating views. 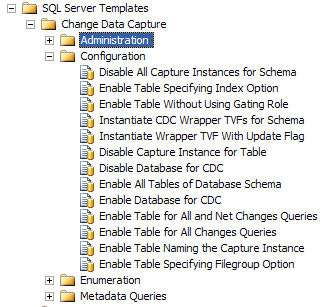 Be it materialised view or not (indexed view in SQL Server). If you have both attribute code and attribute name in the DW dim then “select distinct attribute code, attribute name from dim1” – no problem. But if you don’t have the attribute code, then you need to either a) link on attribute name, or b) create and maintain the attribute code in the mart. I’d recommend the latter. Of course there’s another option which is to ask the DW to add the attribute code. Consider SCD type, e.g. a) parent & child source are type 2, target is type 2, b) parent and child source are type 1, target is type 1, c) parent is type 2, child is type 1 (or vice versa) and target is type 1. To create a type 2 from type 1 is not possible. Out of the 3 combinations on point 1 above (more if you have 3 levels), the issue is when you want to create a type2 target (option a in point 1 above). We need to make sure that the parent is joining to the child dimension on the right row, e.g. which one is the child row for that parent row etc. Set your dimension grain (of the target dimension) according to what the application/report need. Usually not at the lowest possible level, but at higher level, e.g. product type – product group – product code: if the report works at product type then set the grain at product type, so the report will have good query performance. If necessary create 2 dims at different grain, 1 at product type and the other at product code. Reports which work at product type level don’t have to use the product code dim. The higher level dim could be created using indexed view rather than a physical table. If you change the dimension (either the grain or SCD type) you will need to translate the dim keys in the fact table. By ‘entity’ I mean table, e.g. dimension table and fact table. Yes, in my opinion. The DW is designed to be flexible and incorporating different business areas/units, so in DW we create it as 2 dimensions. Whereas in DM we only deal with 1 area of the business so we only need to create 1 dimension. For example, in wealth management we have 2 account dimensions: private accounts and corporate accounts. They have different attributes because their have different natures of business. They are used in different fact tables. So the dimension name in the DW are accordingly named as dim_private_account and dim_corporate_account. When we create a DM for private business, it makes sense if we want to call the account dimension as dim_account (without the ‘private’ prefix) because in this mart we only deal with the private business. But if the name changes are because ‘I just simply don’t like it’ I would discourage you from changing the attribute/table name. As much as possible you should try to keep the attribute and table names in the DM the same as in DW. This is for consistency, and also for ease of use. If a measure in DW is called potential_profitability_ratio, and in DM it’s called potential_profitability or profitability_ratio then users will be confused. Not only the end users, but report writers and ETL developers will be confused too. Exact column names give the additional assurance that they are the same, and contain the same data. Why use Change Tracking instead of CDC or triggers? As I explained here, for incremental extraction we need to rely on last updated timestamp or identity columns. 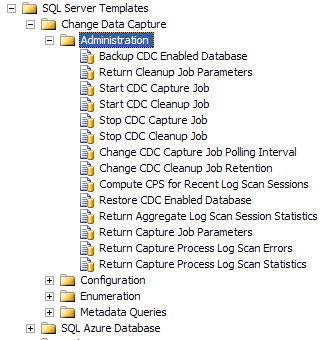 If we don’t have them, we could create CRC column to detect changes in rows. The extract of 2 columns (PK & CRC) is compared with previous day extract to detect: deletion, new rows and changed rows. We then use the PK to bring those rows to DW. Now with Change Tracking the mechanism is provided out of the box. Yes, true that the source needs to be in 2008. But it’s only a matter of time before those 2005 boxes are upgraded to 2008. So in 2-3 years’ time I expect many SQL Server data warehousing projects will be utilising Change Tracking to provide real time data warehousing solution. On 17th March 2010 I’ll be speaking at SSUG: SQL Server User Group BI Evening, Microsoft Victoria, London, 18:00-21:00, SQL Server Data Warehousing features. Details below. 16th April 2010: SQLBits VI, Church House conference centre, Westmister, London, my proposed session is Query and Loading Performance of a SQL Server Data Warehouse. Details below. Note: This event has a max capacity of 102 – this event is now full; we are operating a reserve list – feel free to register as I will be sending reminders out a few days before the event to make sure if you have registered you are still coming. Come and socialise and learn from your peers; these physical meetings are great places to expand your network, get answers and find out how other people are using SQL Server and what is going on. This is the last meeting this year for London and for those who can we should do drinks after the meeting to continue the SQL chat in an even more informal environment. If you want to twitter please make sure you use the tag #uksqlug so it is shown on the site. Your host for the evening will be Ashwani Roy, SQL Server MVP. Meet up and socialise with your friends, meet new people, find out what other people are doing with SQL Server. In this session I will explain about 2008 Data Warehousing features such as merge, CDC, data compression, backup compression, star join query, minimally logged insert, parallel query on partition tables, partitioned aligned indexed views, resource governor, grouping sets. I will pick some of them and show implementation example in the form of a demo. So this session will be particularly useful for people/companies who already have a data warehouse on SQL Server 2005, as it explains to them the benefits of upgrading their warehouse to 2008. It will also be useful for companies who don’t currently have a data warehouse on SQL Server (perhaps they have it on other platform), and are currently deciding whether to use SQL Server 2008 for their warehousing platform. And of course this will benefit Microsoft, as it draws people’s attention to using SQL Server 2008 for their data warehousing platform. One of the key elements of any DW / OLTP system is performance, alas no matter how good it’s design or how powerful it’s hardware there are times when the performance of a Query operation / function is JUST NOT adequate, even if properly tuned these times generally we are likely to be dealing with lots of data or complex calculations SQL Server has ways to help deal with those scenarios, some of these include the use of Indexes Views or Computed Columns I will spend a few minutes explaining their usage, Pro’s & Con’s and demo some examples. This session will look at the improvements to self-service BI made in Excel 2010 and SQL Server 2008 R2. It will examine native Excel functionality, the PowerPivot for Excel tool, and deployment of PowerPivot in SharePoint 2010. The session will be in the form of a live demonstration using the most recent CTP and beta software. This session discusses the impact of various design/modelling aspects and SQL Server features to the query and loading performance of a SQL Server data warehouse. How various data warehouse design/dimensional modelling aspects like fact table primary key, foreign keys, snowflaking, fact grain, transaction dimension, slowly changing dimension type 2, periodic snapshot, incremental extract, accumulated snapshot and fact normalisation affects the data warehouse query performance and loading performance. How SQL Server specific features affect (can be used to improve) the query and loading performance of a SQL Server data warehouse, for example: partitioning, clustered index, indexed views, filtered indexes, bitmap indexes, change data capture, data compression, merge statement, incremental delete, query/table hints, joins, data types, minimally logged insert, data/log files, filegroups, autogrow, tempdb, recovery model, and scalable shared database. For a complete list of sessions click here. SQLBits home page is here. Update: I won’t be speaking at SQLBits VI. My proposed session above was not accepted. CDC is a mechanism to store data changes (update, insert and delete) happening in a source table by reading transaction log files. These changes are stored in a change table, enabling us to apply those changes to the a target table incrementally. *We still use CDC in SSIS, not outside SSIS. 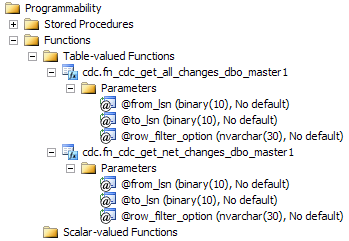 The question should be why use CDC in SSIS instead of the normal daily load dataflow package.